Today more and more people are taking the step to purchase from mobile-friendly sites that are customised to provide a flexible and simple interface. Because of this massive change in the avenue for which people are choosing to engage with web content we would advise you to opt for a mobile optimised or responsive website so that it can automatically adjust accordingly for the device that is accessing it. Our experienced web team have the technical knowledge to adapt your website to the necessary design and screen resolution specifications to suit the whole range of devices from mobiles, smartphones and tablets. This facility provides your audience with easy usability to help you boost your ultimate conversion goal of turning visitors into sales. 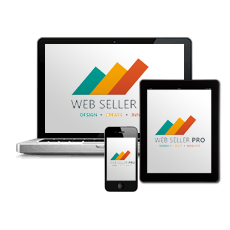 We take cross-device compatibility into account at the initial stage of every web devlopment project. People on the move with hand held devices are becoming more impatient when it comes to content, therefore the content needs to be short but at the same time engaging and we can advise you on how most effectively to structure your website or shop across all devices taking into account the different habits of each type of visitor.